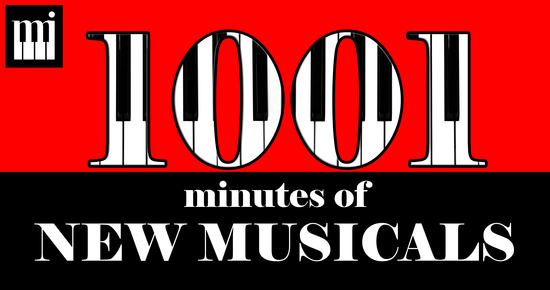 New Musicals Inc. has four different programs at the Hollywood Fringe Festival under the umbrella title of 1001 Minutes of New Musicals. 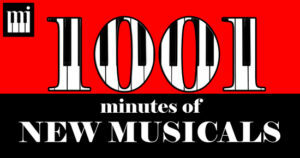 Each program consists of three new 20 minute musicals. The first program I sampled was Production “B”. First up was Dames, Dicks, & Butter Knives, a cute little film noir musical with a book by Bryon Richards and music & lyrics by Clifford J. Tasner. The setting was 1946 Los Angeles and the mini-musical seemed like an homage to the 1990s musical City of Angels. The leading characters were an inept gumshoe Jack (Luke Klipp) and his much more equipped and savvy secretary Bekka (Chelsea Pope) as they searched for a killer among the suspects at The Bloody Valentine Nightclub. The cast sported strong voices, especially those of Bekka and the sultry club chanteuse (Lauryn Michelle Downey). The songs were fun and Allison Bibicoff’s direction kept the action flowing. Hollywood Forever, with book & lyrics by Robin Share and music & lyrics by Ross Kalling, was set at the famous cemetery but seemed more of a one-act play with music. There were barely three songs in the score that really didn’t have much to do with the story of two former Hollywood Teen contract players meeting up after several decades. It was a touching story of missed signals and regrets directed by Jessica Snow Wilson. The final offering There’s an App For That, with book & lyrics by John Sparks and music by Ron Barnett, dealt with a father and son trying to fix each other up on a dating app. Once again strong singing voices made a mediocre and unexciting outing bearable. The plot was full of questionable actions on the part of the main characters and needs a good rewrite.